From the sixteenth through the nineteenth centuries, Spain and Portugal raised and nurtured vast American empires, both metaphorically and literally. From the very beginning, conquerors and settler elites engaged in colonial enterprises as they considered the New World through traditional Iberian ideas about childhood and as they established institutions for educating youths, sheltering infants, and extracting labor from children. 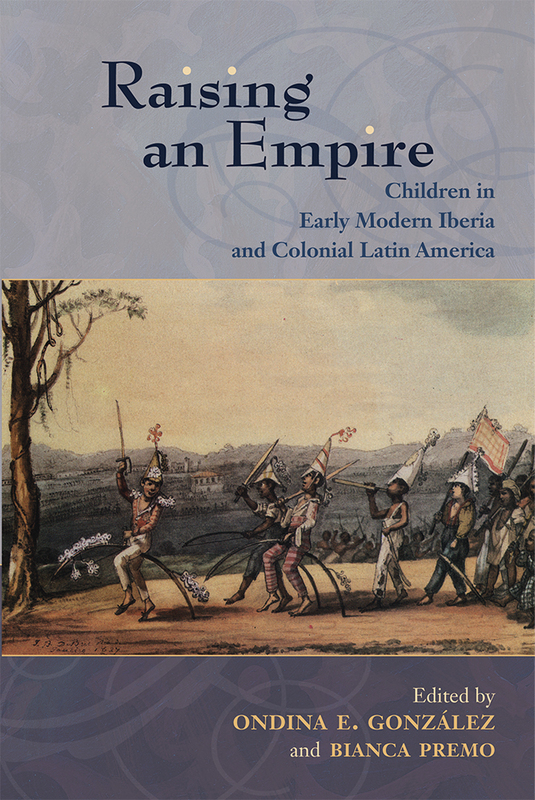 Inevitably, Iberian concepts of childhood were transformed by everyday confrontations with the practices and norms of indigenous, African, and mixed-race inhabitants, and as new generations of truly colonial children were born. in early modern Ibero-America. Its contributors enter a vibrant new field of study in the region and challenge the conventional notion that children are invisible in the historical record. Employing diverse methods to decode a wide variety of sources, these essays present their small subjects - elite maidens, abandoned babies, Indian servants, slave apprentices - through their lives and times. Ondina E. González is an independent scholar who has written on abandoned children in colonial Havana and the history of Christianity in Latin America. Bianca Premo is associate professor of Latin American history at Florida International University. Ondina E. GonzÃ¡lez is an independent scholar who has written on abandoned children in colonial Havana and the history of Christianity in Latin America.